Austal has announced the commencement of sea trials for the first Guardian Class, Pacific Patrol Boat. 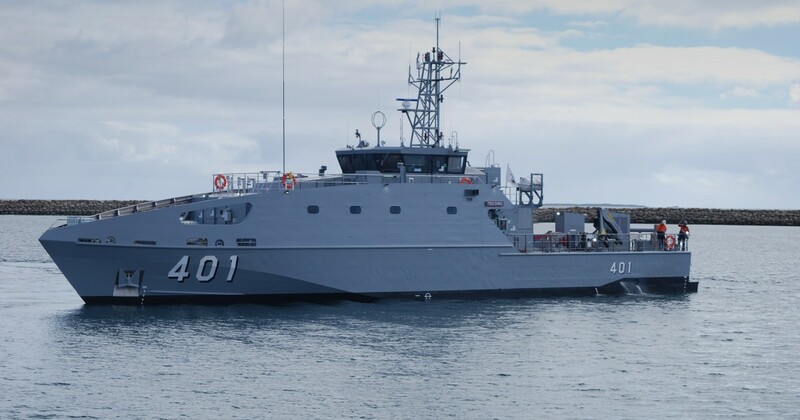 Austal, which landed the $334 million Pacific Patrol Boat (PPB-R) contract in May 2016, is to deliver 21 vessels to 13 Pacific Island nations from late 2018 to 2023 as part of the Commonwealth’s Pacific Maritime Security Program (PMSP). The commencement of sea trials coincided with the Austal’s celebration of 30 years in operation, during which the shipbuilder designed, constructed and delivered more than 300 commercial and defence vessels for more than 100 operators in 54 countries worldwide. “We could not have had a better way to celebrate Austal’s 30thbirthday, then by successfully meeting another milestone in the PPB-R program,” said Austal CEO, David Singleton.